Shape distances are an important measure to guide the task of shape classification. 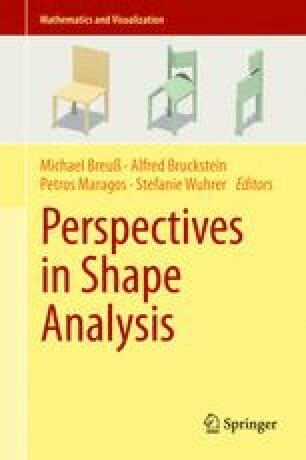 In this chapter we show that the right choice of shape similarity is also important for the task of image segmentation, even at the absence of any shape prior. To this end, we will study three different shape distances and explore how well they can be used in a trust region framework. In particular, we explore which distance can be easily incorporated into trust region optimization and how well these distances work for theoretical and practical examples.